Leonard Shlain proposes that the visionary artist is the first member of a culture to see the world in a new way. Then, nearly simultaneously, a revolutionary physicist discovers a new way to think about the world. Escorting the reader through the classical, medieval, Renaissance and modern eras, Shlain shows how the artists' images when superimposed on the physicists' concepts create a compelling fit. Throughout, Shlain juxtaposes the specific art works of famous artists alongside the world-changing ideas of great thinkers. 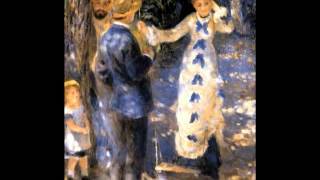 Giotto and Galileo, da Vinci and Newton, Picasso and Einstein, Duchamp and Bohr, Matisse and Heisenberg, and Monet and Minkowski are just a few of the provocative pairings. 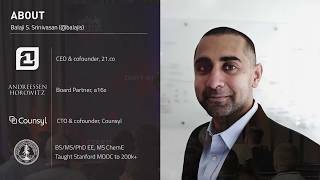 Balaji Srinivasan at Startup School 2013. 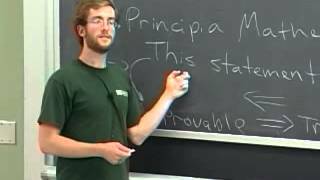 This is a great talk about broken systems and how to navigate a situation in which you are stuck in a system that is broken beyond repair. Journalist, author, and podcaster Malcolm Gladwell joins Tyler for a conversation on Joyce Gladwell, Caribbean identity, satire as a weapon, Daniel Ellsberg and Edward Snowden, Harvard’s under-theorized endowment, why early childhood intervention is overrated, long-distance running, and Malcolm’s happy risk-averse career going from one "fur-lined rat hole to the next." 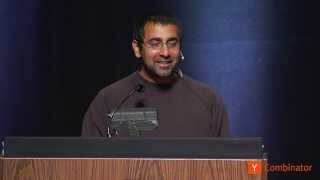 This is a follow up to the Balaji talk at Startup School on exiting systems. He explores the dynamics at play as power shifts from the nation-states to other systems. 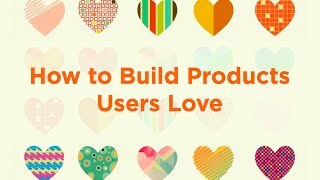 Kevin Hale, Founder of Wufoo and Partner at Y Combinator, explains how to build products that create a passionate user base invested in your startup's success. There's a lot that goes behind the scenes in running a startup. 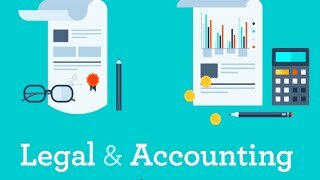 Getting the legal, finance (equity allocation, vesting), accounting, and other overhead right will save you a lot of pain in the long run. Kirsty Nathoo, CFO at Y Combinator, and Carolynn Levy, General Counsel at Y Combinator, cover these very important topics in this lecture. 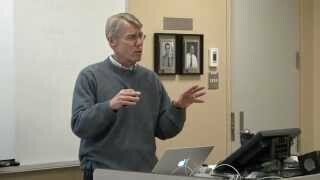 Dr. Tim Pychyl led a discussion about academic procrastination and strategies for change. The focus was on discussing what students are telling us about their procrastination and how we might help them help themselves. 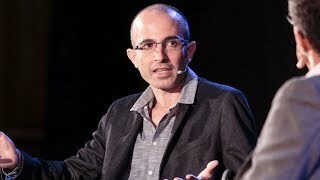 Historian & professor, Yuval Noah Harari, discusses psychedelics & the human conception of the meaning of life in a conversation with Dan Ariely. 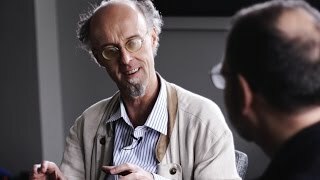 In conversation with Kamal Ahmed, the BBC’s economics editor, Harari examined the political and economic revolutions that look set to transform society, as technology continues its exponential advance. What will happen when artificial intelligence takes over most of the jobs that people do? Will our liberal values of equality and universal human rights survive the creation of a massive new class of individuals who are economically useless? And when Google and Facebook know our political preferences better than we do ourselves, will democratic elections become redundant? 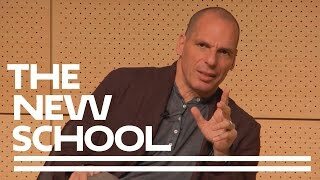 As the 21st century progresses, not only our society and economy but our bodies and minds could be revolutionised by new technologies such as genetic engineering, nanotechnology and brain-computer interfaces. After a few countries master the enhancement of bodies and brains, will they conquer the planet while the rest of humankind is driven to extinction? Seventy thousand years ago, our human ancestors were insignificant animals, just minding their own business in a corner of Africa with all the other animals. But now, few would disagree that humans dominate planet Earth; we've spread to every continent, and our actions determine the fate of other animals (and possibly Earth itself). How did we get from there to here? 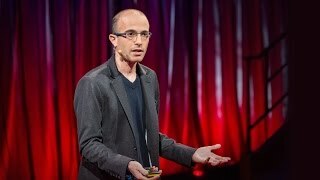 Historian Yuval Noah Harari suggests a surprising reason for the rise of humanity. 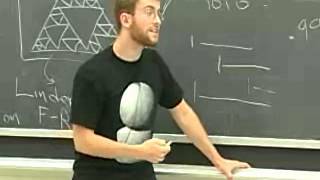 Three segments in this lecture:Tyler Bosmeny, founder and CEO of Clever, starts off today's lecture with an overview of the Sales Funnel, and how to get to your first $1 Million. Michael Seibel, founder of Justin.tv and Socialcam and Partner at Y Combinator, then goes over how to talk to investors - the pitch. 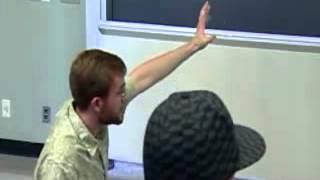 Dalton Caldwell, founder of imeem and App.net and Partner at Y Combiantor, and Qasar Younis, founder of Talkbin and Partner at Y Combinator, then perform an investor meeting roleplay to give you a taste of how it actually might look behind the scenes. 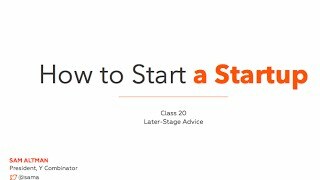 Sam caps off the How to Start a Startup series with things you should ignore when you start, but become important a year in. Stripe and Pinterest - two companies well known for their strong cultures. 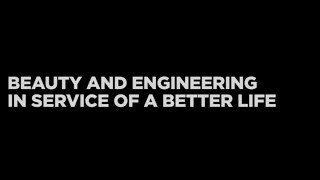 The founders - John Collison, Patrick Collison, and Ben Silberman - take Q&A from Sam in part 2 of Hiring and Culture. What should the CEO be doing on a day to day basis? How do you make sure the company is moving in the right direction? 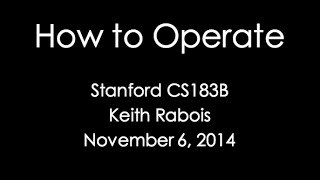 Keith Rabois, Partner at Khosla Ventures and former COO of Square, tackles the nitty gritty - How to Operate. 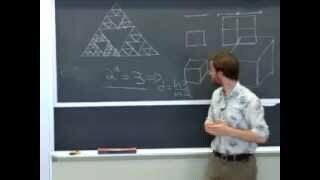 Lots of actionable takeaways from this lecture! Hosain Rahman, CEO and Founder of Jawbone, covers the design process for building hardware products users love. Building product, and talking to users. In the early stages of your startup, those are the two things you should focus on. 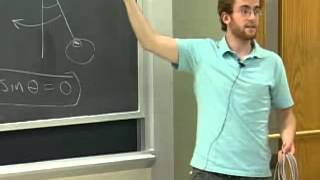 In this lecture, Emmett Shear, Founder and CEO of Justin.tv and Twitch, covers the latter. What can you learn by talking to users that you can’t learn by looking at data? What questions should you ask? How can user interviews define or redefine your product goals? You are not the only one whom your decisions impact. 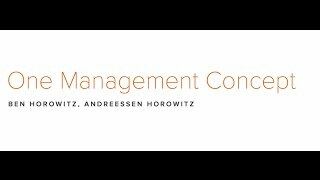 Ben Horowitz, founder of Andreessen Horowitz and Opsware, discusses this important management perspective that founders miss, with, of course, the gratuitous rap lyric or two sprinkled in. 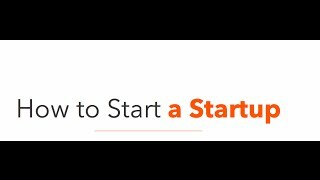 So you've learned how to get started, how to raise money, how to build products, and how to grow. 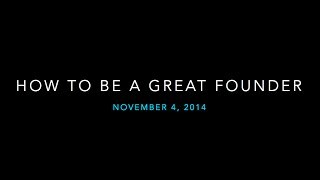 Reid Hoffman, founder of LinkedIn and Partner at Greylock Ventures, addresses many of the questions and confusions that might be cropping up - How to be a Great Founder. So you have an idea. 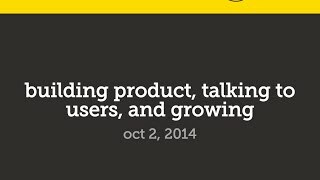 How do you go from zero users to many users?Adora Cheung, Founder of Homejoy, covers Building Product, Talking to Users, and Growing, in Lecture 4 of How to Start a Startup. Aaron Levie - founder of Box, enterprise master, Twitter comedic genius. 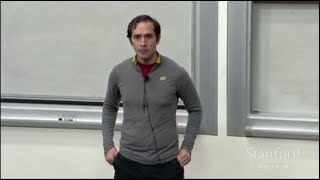 In this lecture, he'll convince you to Build for the Enterprise. Sam leads a panel Q&A on Fundraising in this lecture with Marc Andreessen, Founder of Netscape and Andreessen Horowitz, Ron Conway, Founder of SV Angel, and Parker Conrad, Founder of Zenefits. 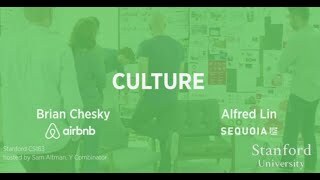 Brian Chesky, Founder of Airbnb, and Alfred Lin, Former COO of Zappos and Partner at Sequoia Capital discuss how to build a great company culture. Stanley Tang, Founder of Doordash, covers How to Get Started. 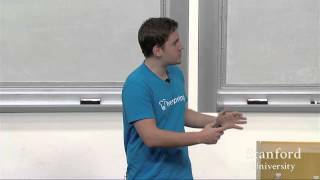 Walker Williams, Founder of Teespring, covers Doing things that Don't Scale. 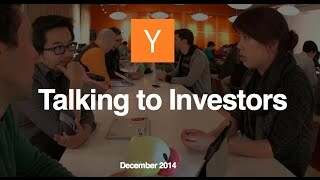 Justin Kan, Founder of TwitchTV and Partner at Y Combinator, covers Press. 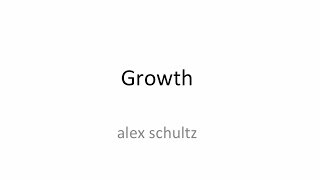 Alex Schultz gives an overview of Growth for startups, speaking from a position of authority as the VP of Growth at Facebook. 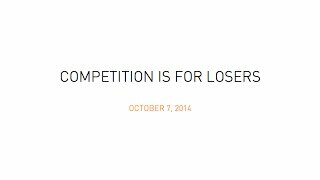 Peter Thiel, founder of Paypal and Palantir, discusses business strategy and monopoly theory in "Competition is For Losers". 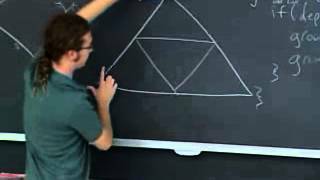 MIT's course discussing the concepts described in Douglas Hofstadter's masterpiece - Godel Escher Bach. 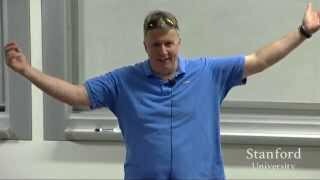 Paul Graham delivers an informative (and highly amusing) talk, addressing counterintuitive parts of startups, in Lecture 3 of How to Start a Startup. 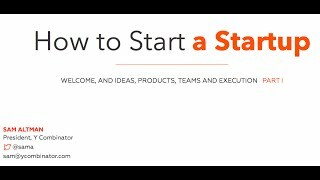 Sam Altman, President of Y Combinator, and Dustin Moskovitz, Cofounder of Facebook, Asana, and Good Ventures, kick off the How to Start a Startup Course. 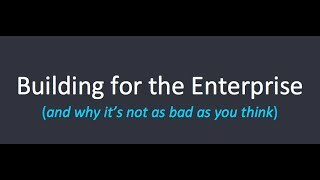 Sam covers the first 2 of the 4 Key Areas: Ideas, Products, Teams and Execution; and Dustin discusses Why to Start a Startup. 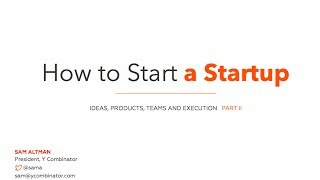 Sam Altman finishes up "Ideas, Products, Teams and Execution" by covering Team and Execution, in Lecture 2 of How to Start a Startup. 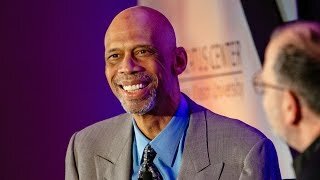 Kareem Abdul-Jabbar joins Tyler Cowen for a conversation on segregation, Islam, Harlem vs. LA, Earl Manigault, jazz, fighting Bruce Lee, Kareem’s conservatism, dancing with Thelonious Monk, and why no one today can shoot a skyhook. 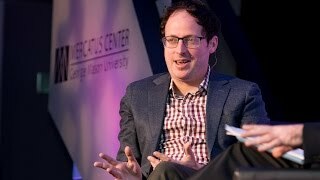 Nate Silver joins Tyler Cowen for a conversation on data, forecasting, My Bloody Valentine, the social value of gambling, Donald Trump and the presidential field, vacation advice, Supreme Court picks, the wisdom of Björk, and the most underrated statistic for finding good food. Peter Thiel is among the most impressive innovators of the past two decades. As co-founder of Paypal and seed-funder for Facebook, Thiel has been instrumental in the conception and growth of some of today’s most entrepreneurial and innovative companies. In his latest best-selling book, Zero to One, Thiel explains how to build a better future by capitalizing on innovation. 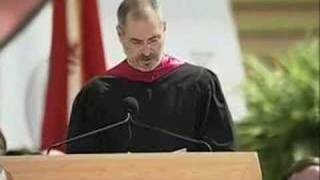 A staunch optimist, he maintains that progress can be achieved anywhere the human mind is able to think creatively. Thiel describes how entrepreneurial thinking leads to innovation, which builds something new and moves the mark from zero to one. 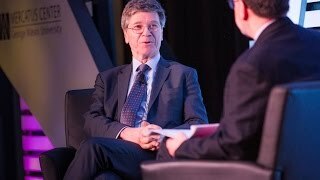 Jeffrey Sachs and Tyler Cowen discuss the resource curse, why Russia failed and Poland succeeded, charter cities, Sach's China optimism, JFK, Paul Rosenstein-Rodan, whether Africa will be able to overcome the middle income trap, Paul Krugman, Sach's favorite novel, premature deindustrialization, and how to reform graduate economics education. 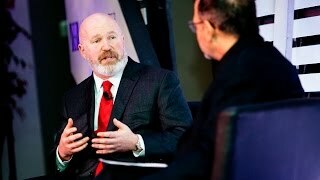 Tyler and investment strategist Cliff Asness discuss momentum and value investing strategies, disagreeing with Eugene Fama, Marvel vs. DC, the inscrutability of risk, high frequency trading, the economics of Ayn Rand, bubble logic, and why never to share a gym with Cirque du Soleil. 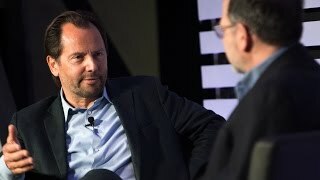 Tyler Cowen and Luigi Zingales discuss Italy, Donald Trump, Antonio Gramsci, Google and conglomeration, Luchino Visconti, Starbucks, and the surprisingly high productivity of Italian cafés. 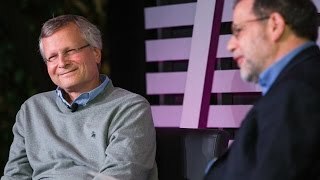 Tyler and Dani Rodrik discuss premature deindustrialization, the world’s trilemmas, the political economy of John le Carré, what’s so special about manufacturing, Orhan Pamuk, RCTs, and why the world is second best at best. 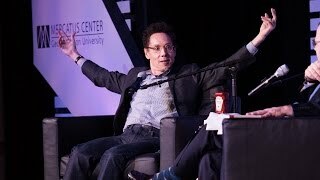 Journalist, author, and podcaster Malcolm Gladwell joins Tyler for a conversation on Joyce Gladwell, Caribbean identity, satire as a weapon, Daniel Ellsberg and Edward Snowden, Harvard’s under-theorized endowment, why early childhood intervention is overrated, long-distance running, and Malcolm’s happy risk-averse career going from one “fur-lined rat hole to the next. 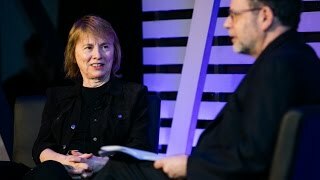 Camille Paglia joins Tyler Cowen for a conversation on the brilliance of Bowie, lamb vindaloo, her lifestyle of observation, why writers need real jobs, Star Wars, Harold Bloom, Amelia Earhart, Edmund Spenser, Brazil, and why she is most definitely not a cultural conservative. Watch to discover why Michael believes everyone should read more fiction , how we should choose books, why American popular literature is overrated, what he thinks about authors like Herman Melville, Fyoder Dostoevsky, Goethe, J.K. Rowling, Arno Schmidt, and many more, what he thinks about Amazon.com and the best sites for readers, why studying literature at college was such a big disappointment, how much covers matter, and why his opinion will never be the final word. 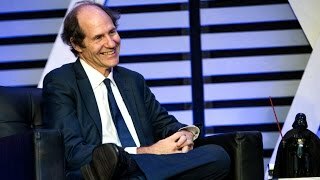 Tyler Cowen: Conversations with Tyler: Cass Sunstein on Bob Dylan, Justice and Hayek. 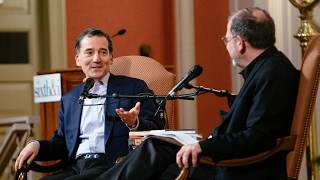 Named one of the most influential Jewish thinkers of our time, Rabbi David Wolpe joins Tyler in a conversation on flawed leaders, Jewish identity in the modern world, the many portrayals of David, what’s missing in rabbinical training, playing chess on the Sabbath, Srugim, Hasidic philosophy, living in Israel and of course, and the durability of creation. The stereotypical obituary is a formulaic recitation of facts — dry, boring, without craft. 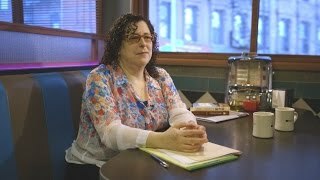 But Margalit Fox has shown the genre can produce some of the most memorable and moving stories in journalism. Exploiting its “pure narrative arc,” Fox has penned over 1,200 obituaries, covering well-known and obscure subjects with equal aplomb. In her conversation with Tyler Cowen, Fox reveals not only the process for writing an obituary, but her thoughts on life, death, storytelling, puzzle-solving, her favorite cellist, how it came to be that an economist sang opera 86 times at the Met, and much more.